Injury free for the first summer in years, Lleyton Hewitt slugged out a 6-3 4-6 6-2 win over Russian lucky loser Igor Kunitsyn at the Brisbane International on Tuesday night. 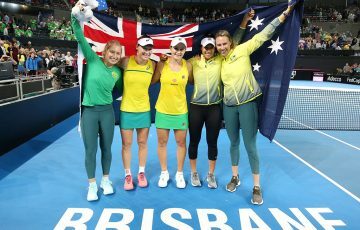 Lleyton Hewitt has shown all of his trademark fighting spirit at the Brisbane International to successfully start his warm-up for a 17th Australian Open campaign. 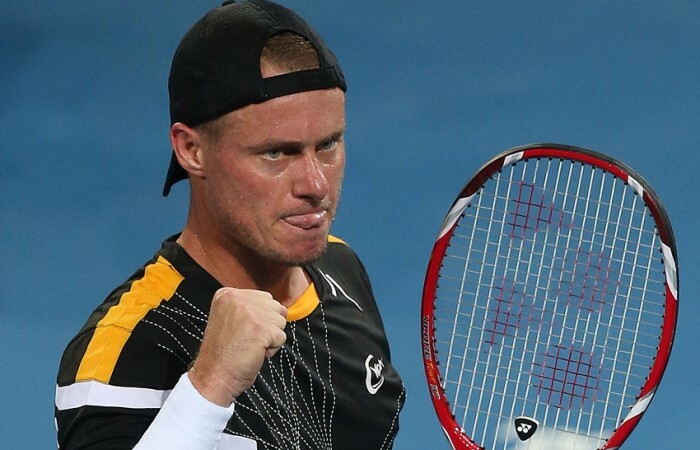 Injury free for the first summer in many years, Hewitt slugged out a Brisbane debut to remember with a 6-3 4-6 6-2 win over Russian lucky loser Igor Kunitsyn on Tuesday night. 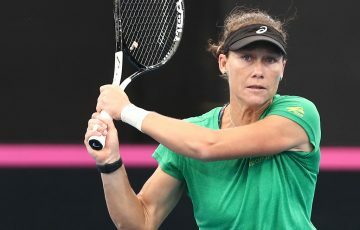 Despite being ranked No.162 in the world, and only pitched into the first-round clash 10 hours earlier, Kunitsyn made the 31-year-old work all the way at Pat Rafter Arena. The failed qualifier, who replaced an ill Radek Stepanek, was meant to be easy meat but roared to life late in the second set after pouncing on his first and only chance to break Hewitt. Kunitsyn then appeared to have all the momentum at the start of the deciding set before the fired-up South Australian broke in the fourth game and never looked back in front of a full house of 5500 spectators. Hewitt will now meet Uzbekistan’s Denis Istomin in the second round after the world No.44 upset eighth-seeded Slovak Martin Klizan 6-1 6-2. 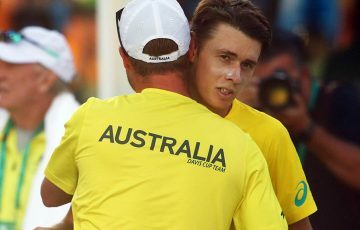 He’d originally been set down to meet Stepanek but the inaugural Brisbane International champion, who holds an overall 14-3 tournament record, was forced to withdraw with an eye infection. 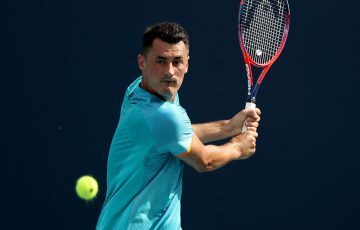 While the Hewitt fight and “C’mon” call was there, as well as his sharp court movement following radical ankle surgery last year, the world No.83 would be disappointed by taking his foot off Kuntisyn’s throat in the second set. He blew two break points when up 3-2 – including backhand drop volley – and then later lapsed surprisingly on serve at 4-5. Prior to going under the knife, the two-time major winner had been struggling to build any momentum with his worsening toe injury gradually eroding his speed advantage and fitness edges. But he looked in fine fettle throughout the course of the two-hour match. 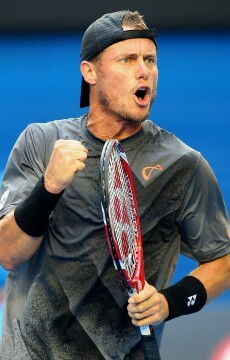 Hewitt was pleased by his victory after admitting he was affected by the late change of opponent. “When you’ve been preparing for three or four days to play someone then it changes it’s always tough and especially when you’re playing someone who’s already had two or three matches in these conditions as well,” he told the Seven Network.